Discover the varied personalities working on your IP. Arun is a Registered Patent Agent, a prosecution specialist, and an expert at portfolio development and management. His experience pertains to domains such as Telecommunications, Cloud computing, Mobile applications, Social media, Enterprise applications, Multi-media applications, Solar energy systems, Wind power systems, Automotive engineering, and more. He has co-authored a book on patent law and practice and has publications to his credit in technology and patent law. He is a regular speaker at various forums on innovation and intellectual property, and has delivered lectures at top corporations and Ivy League schools. Arun holds a B.Tech degree from IIT Madras and MBA from IIM Bangalore. He also holds an Advanced licensing certificate from the Institute at Franklin Pierce Law Center, New Hampshire. He is a Certified Associate in TRIZ, a problem solving methodology. Shridhar is qualified with a B.E. in Mechanical Engineering. 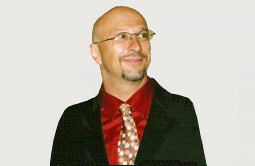 In the past he founded Godels-i Consulting where he taught at several MNCs for Lean Systems, standards and processes. His expertise is in Quality Control and Market Research aligned towards success and failure models for new ventures and established practices. He has performed extensive research on the Economics of Innovation along with Prof. Pavan Mamidi from Harvard Law School. He is currently working on an important contemporary topic viz. "Business Sustainability and Sustainable Innovations". He aims to address problems faced by blue chip companies in keeping up with changes in their business paradigm. His current role at IPMetrix pertains to managing the entire operations including 35 personnel. He advises clients about their IP strategy and innovation processes. He has also grown IPMetrix's presence in many metro cities in India for better client interaction. His interests include being an avid reader, researcher and guide to many. He has a passion to contribute to social causes has seen him in many avatars for furthering the cause of education among different strata of society. He has also served as a committee member of an Engineering College in Hyderabad. Michael is qualified with a J.D. specialized in Patent Law/Intellectual Property. w/ Certificate: The Center for Law, Technology & Communications from Thomas Jefferson School of Law, San Diego. He holds a B.S. in Electrical Engineering from San Diego State University. His bar admission details State Bar of California License no. 243144. His USPTO reg. no. 59064 for PE LICENSE. He is a Licensed Professional Engineer (California, 2005). Syed has rich and diverse professional working experience of over 5 years in Intellectual Property(IP) and has worked with reputed law firms & LPOs. Presently, Syed leads a patent prosecution team at ipMetrix consulting group as a Patent Lead, where he writes and prosecutes numerous patent applications, and provides improved patent drafting and technical writing trainings. 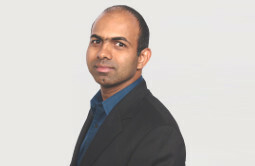 Syed's expertise revolves around areas related to IP law, market research analytics, patent application drafting, patent portfolio generation andmanagement, R&D, due-diligence, intellectual property research, infringement analysis, technology landscaping, Freedom-to-operatestudy, prosecution support, IP and technology commercialization, anti-counterfeit and custom procedures. Syed obtained his Bachelor’s degree in Information Technology and Master’s degree in Computer Science from JNTU, Hyderabad. 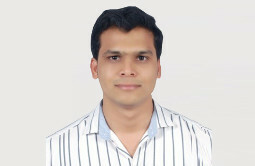 He was honored with Gold medal for achieving the Bachelor’s degree in Information Technology from JNTU. 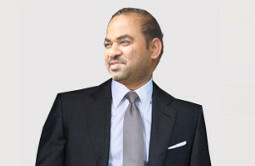 S. Raghu Raman has diverse working experience of over 5 years in Intellectual Property (IP) and has worked with reputed LPOs.Presently, he has been practicing patent at ipMetrix as a Patent Lead, where he drafts and prosecutes numerous patent applications. His expertise revolves around areas related to patent application drafting, patent prosecution, infringement analysis, Freedom-to-operate study, validity analysis, novelty analysis. His experience also covers quality assurance over intellectual property ensuring that the services providedto clients constantly meet the service requirements and clients’ expectations. 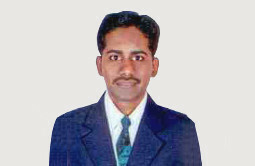 Raghu obtained his Bachelor’s degree in Electrical Engineering from Anna University, Chennai. Additionally, he has obtained PG Diploma degree in Intellectual Property Rights (IPR) from National Law School ofIndia University (NLSIU).